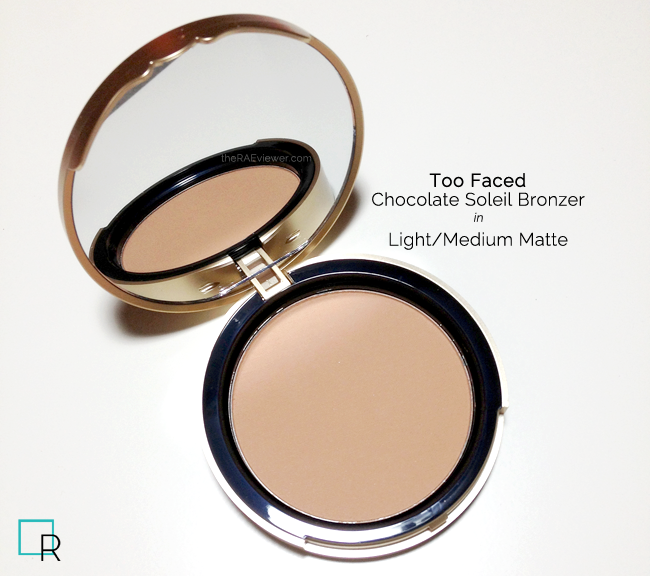 The Too Faced Milk Chocolate Soleil Bronzer in Light/Medium Matte is one of their newest additions to the brand's bronzer lineup. I first encountered the Pink Leopard Bronzer years ago, but because I much prefer matte bronzer, I was very excited to hear news of this Light/Medium Matte release. 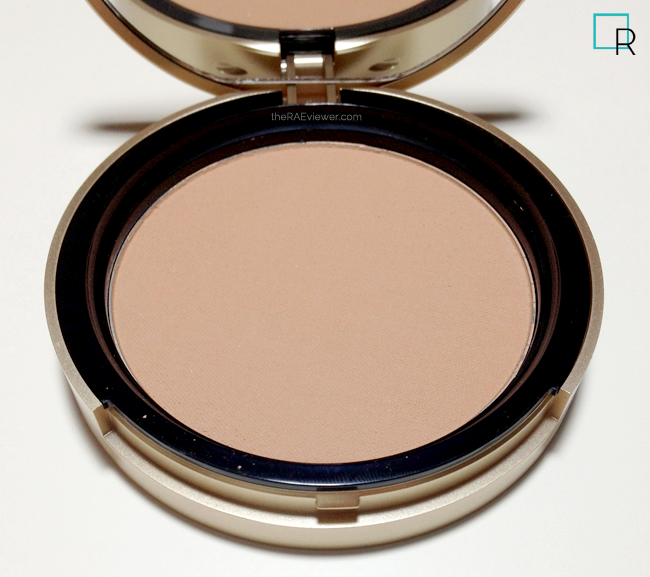 I would say it definitely takes the cake for new matte bronzer of 2013, and you can find out why after the jump! 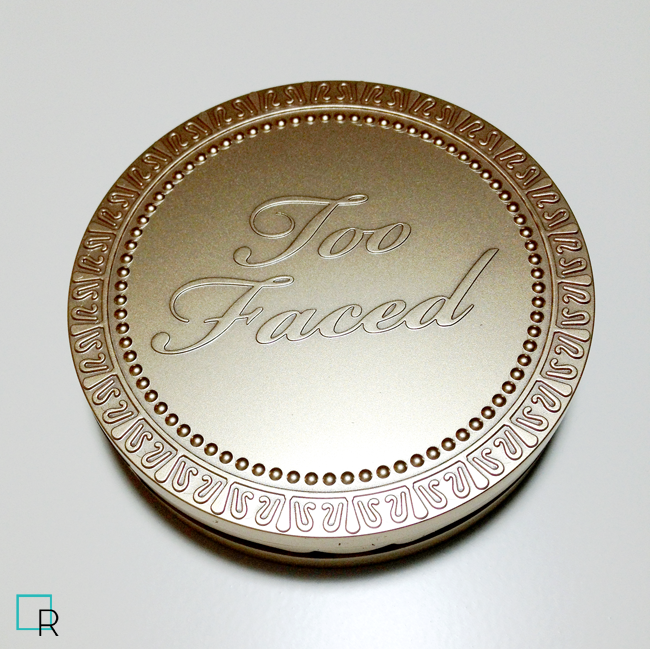 The Too Faced Milk Chocolate Soleil Bronzer in Light/Medium Matte comes housed in a Baroque-age inspired, warm gold compact. This is, by far, the most beautifully packaged mid-range bronzer I have seen in the last decade. The plastic is lightweight, however, so I would be careful not to drop this. I also love the scalloped detail of the lid's front clasp, which you can see below. My favorite matte bronzer is Guerlain's Terracotta Mineral in Medium 002 because the product is silky smooth and provides a slight soft focus effect the way no other bronzer can. But it is a loose powder product, making it inconvenient for daily use, which is why I reach for my Tarte Amazonian Clay Bronzer in Park Avenue Princess most often. 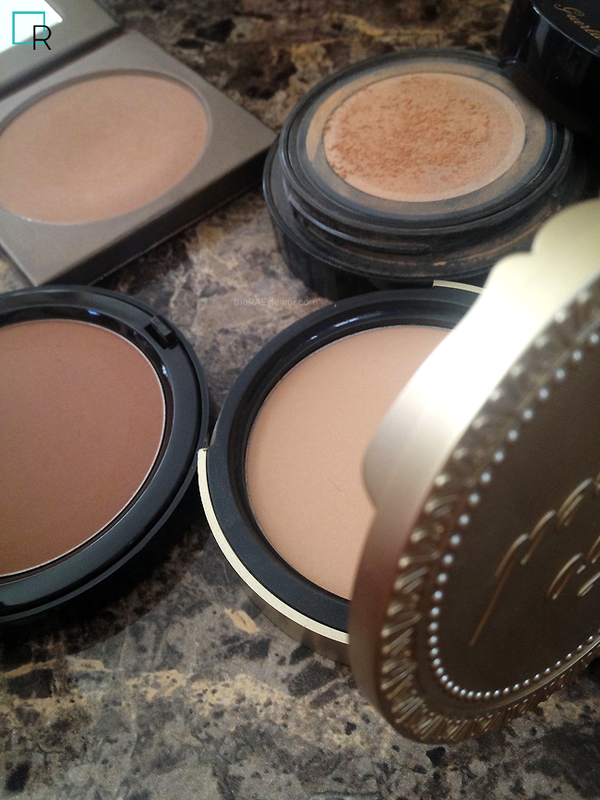 The Tarte compact bronzer is waterproof, making the powder slightly more chalky, but it is fabulously long lasting. Furthermore, it is more suitable to light-medium to medium skin tones thanks to the deeper pigmentation. Bobbi Brown's bronzer in Natural is my summer bronzer of choice, when I have tanned up to medium skin. 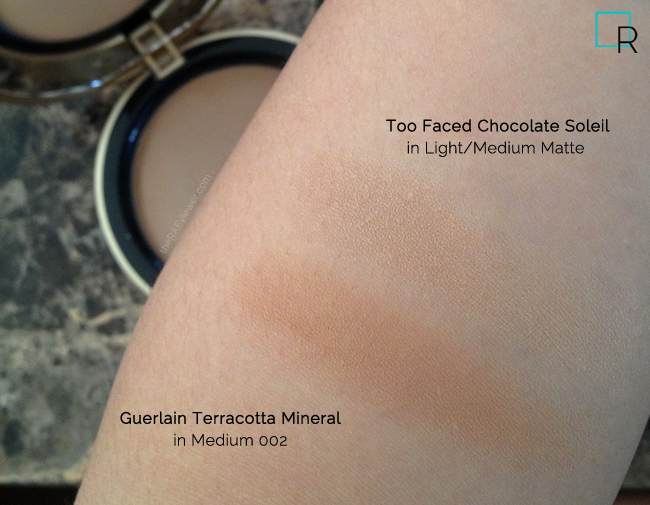 I only included it in the comparison photos above to show how pale the Light/Medium shade by Too Faced is. This makes the Too Faced Light/Medium Matte shade ideal for those who struggle to find a matte bronzer that is not too dark and not too orange. Fair skinned folks rejoice! 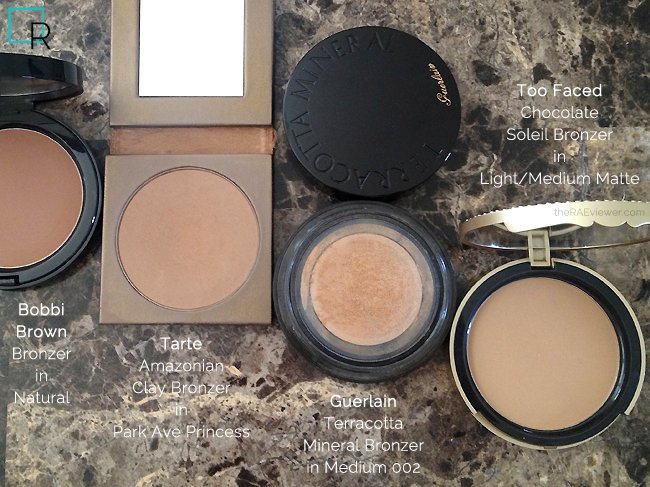 Note: I did forget to include Benefit's Hoola, but it is close enough to the Tarte bronzer. Between the two, I prefer the Tarte Park Avenue Princess because it lasts just a bit longer on my normal skin. Both are deep/cool bronzers, very little orange. 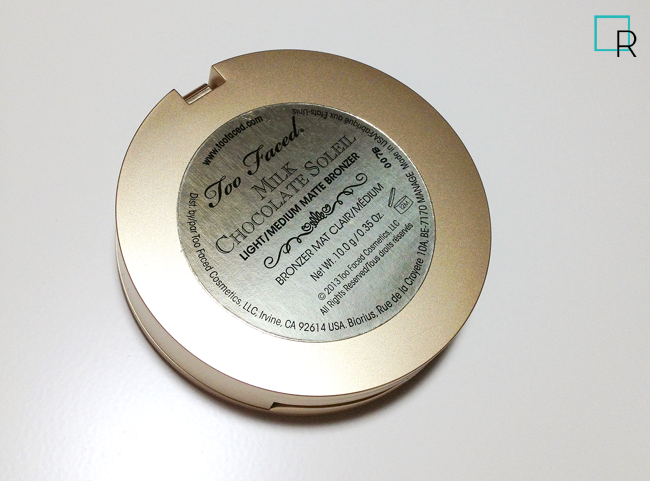 The texture of the Too Faced Milk Chocoloate Soleil Bronzer in Light/Medium Matte is exceptional. It is fairly similar to the Guerlain, which is why I am so fond of this compact. Despite the flurry of dust that rises when the brush is swirled in the pan, the dust is soft and finely milled. I would recommend this to dry-normal skins, since oily skins might find this powder too moisturizing and not long-lasting enough (especially with the summer heat quickly approaching). 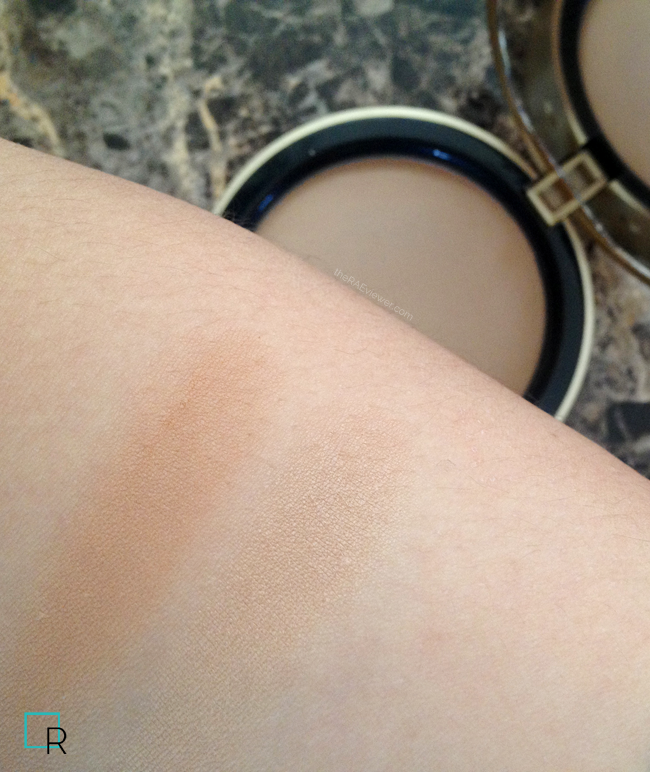 This Light/Medium Matte bronzer smells strongly of milk chocolate, and yes, the scent does linger. I had to wash my brush after the second application, and that is saying quite a bit because I have a weak sense of smell. Unfortunately for me, I am not a chocolate lover so I find this fragrance headache-inducing. I rather dislike plain chocolate, actually, and only ever eat chocolate when it is paired with nuts and/or caramel. People tell me I am crazy whenever I mention this, but I have always preferred candy! Different strokes for different folks, right? Now, I did use this bronzer in my latest makeup tutorial so please do watch below if you are interested in seeing how this bronzer appears on my light-medium skin! I really packed on the color with my Hakuhodo angled blush brush in order to demonstrate the pigmention at its deepest. The Bottom Line: This Too Faced Milk Chocolate Soleil Bronzer in Light/Medium Matte is the most buildable and naturally appearing bronzer for fair and light skins, so I highly recommend it if you can tolerate the chocolate scent! Hi Rae (: Everytime you give something rave reviews, I feel like I want to purchase it right away! TF summer collection, hourglass lip treatment, and now this bronzer! Hehe. Maybe you could help me narrow the wishlist down, like a post with what you'd choose to purchase if you had to narrow it down to a top 5? Must-haves of the must-haves. P.S. Before I found your blog/youtube channel, I thought I was the only one who had lips that peeled with 99% of all lip products. It was mildly life-changing to find your blog lol. P.S. With that being said, I'm sad you had to take down your youtube video about TF lipsticks :( I would have loved to hear about them, coming from someone who understands sensitive lips! Thanks for the review! I've been wondering about this bronzer, and now I can definitively say that I will not be buying it since I'm not big on chocolate, either (nice to know someone else is as crazy as I am). The idea of putting makeup on my face that smells like chocolate is not appetizing, especially since you said it lingers.